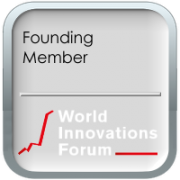 This level is best for any individual supporting the World Innovations Forum. Individual Members can join workgroups and discussions and help shape the future of entrepreneurship in the world. You have access to all activities and events. Any more comprehensive program or larger event that we have to charge for, Founding Members receive a discount from 20 to 50%. This level is best for any entrepreneur (Co-founder) of a startup less than 6 years old. This membership will include all equity holding founders and the company as a member. Older companies shall sign up as Business Member. Entrepreneurs Members can join workgroups and discussions and help shape the future of entrepreneurship in the world. You have access to all activities and events. Any more comprehensive program or larger event that we have to charge for, Founding Members receive a discount from 20 to 50%. This level is best for any partner with an agreement or a respective membership who will be considered a partner member. including the person and their respective company. Partner Members can join workgroups and discussions and help shape the future of entrepreneurship in the world. You have access to all activities and events. Any more comprehensive program or larger event that we have to charge for, Partner Members receive a discount from 20 to 50%. More Partner benefits are explained in the respective partner program. This level is best for NGOs, Universities and Government bodies. The membership includes the organization itself and up to three members. Additional members are eligible to join at a reduced membership fee. Organization Members can join workgroups and discussions and help shape the future of entrepreneurship in the world. You have access to all activities and events. Any more comprehensive program or larger event that we have to charge for, Founding Members receive a discount from 20 to 50%. This level is best for Companies less than 100 employees, or a single department of a larger enterprise, including 2 individual people. Additional members are eligible for additional membership fee. Business Members can join workgroups and discussions and help shape the future of entrepreneurship in the world. You have access to all activities and events. Any more comprehensive program or larger event that we have to charge for, Business Members receive a discount from 20 to 50%. For Companies with 100 – 1,000 employees, incl. 5 individual people as members. Additional members are eligible for additional membership fee. Corporate Members can join workgroups and discussions and help shape the future of entrepreneurship in the world. You have access to all activities and events. Any more comprehensive program or larger event that we have to charge for, Corporate Members receive a discount from 20 to 50%. Additional members are eligible for additional membership fee. Enterprise Members are listed as such in the global directory and selectively mentioned in papers or news letters. Enterprise Members can join workgroups and discussions and help shape the future of entrepreneurship in the world. Custom workgroups can be created for Enterprise Members. You have access to all activities and events. Any more comprehensive program or larger event that we have to charge for, Enterprise Members receive a discount from 20 to 50%. 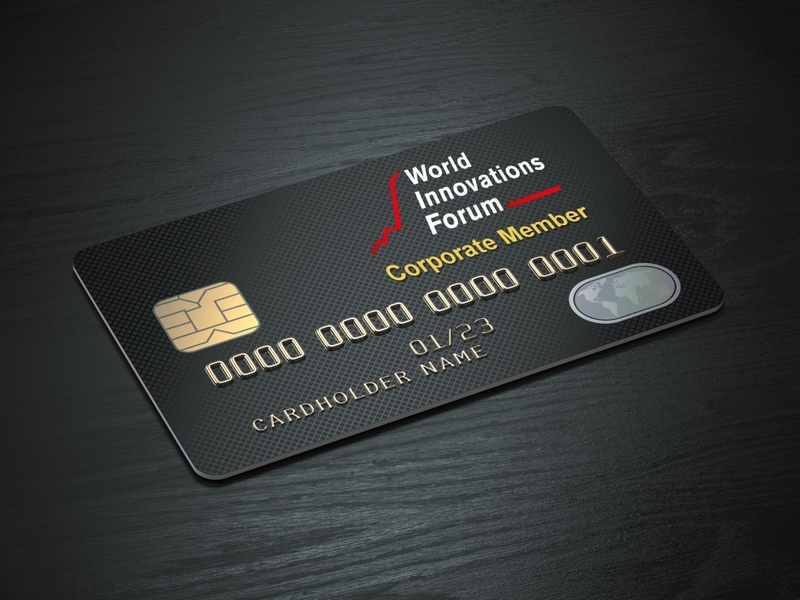 As a World Innovations Forum Member you will be able to actively engage in workgroups, initiatives, programs and other measures to embrace Innovation as a strategic gift of humanity for exceptional growth and well being. Initiatives that help embrace innovation in all countries. Develop ways to not only inspire the act of invention, but more importantly to bring those inventions successfully to market. Working with young entrepreneurs to discuss their challenges, obstacles, capital needs, technological road blocks and so forth to help them become as successful as possible for all of us. Collaborating with corporate innovation labs who all too often struggle to take an innovative idea all the way to global markets. Working with investors to share experiences from around the world and help investors get more successful. Only successful investors can reinvest and help the next generation of startups to be successful too. Still today – 2019 – the majority of startup investors around the world are not successful due to lack of strategies, investment understanding or the feel that those investments are just a little donation. Organizing events to share experiences, know how and learn from other experiences and ideas. Working with Academia to leverage grandiose ideas through entrepreneurs rather than letting them weather in drawers. Collaborating on better education models and systems that takes the knowledge explosion on one side into consideration but also the basic human needs to learn about connections, socializing, how to become successful and become independent. And as we are just starting, members will come up with new needs, new challenges and new solutions. Innovation is driving equality in prosperity around the world! For the last 100 years, the developed world has pumped billions in development aid into emerging and least developed countries. In most cases with no positive outcome. The developed world was breeding beggars. There are roughly 200,000 companies with more than 50 Million in revenue on the planet. With 7.5 Billion people that means 37,500 people for each such company. A country like Nepal with 27 Million people would need to build only 720 successful companies – that is 720 smart founders, with a good idea and determined to succeed. Of course it is a bit more complicated than that – but we can say with 100% certainty: It is possible. A country like Germany, today, still a highly developed country has not brought a single IT company forward after SAP was founded in 1972 – roughly 50 years ago. 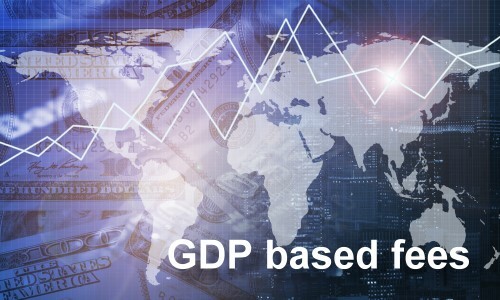 China, South Korea, and many other highly rated up and coming countries show stunning growth rates, amazing technology – yet, not a single piece of disruptive software that is used all over the world – let alone any hardware we cannot work without it. In the next 25 to 50 years those countries are possibly endangered due to lack of exportable technology which feeds their prosperity. Globally used innovation is the primary resource, the raw material, of any country’s future prosperity. Get involved and help make prosperity through innovations, in all nations a reality. The base membership is free. Members can access the community, download most of the available documents, free access to all insights and most events. Free membership also provides free access to connect with other members. It is our intention to provide as much as possible content, know how and support for members for free. This membership level is also a great way to explore the forum, what we do, and who is doing it. Please be aware of the fact that we are just starting to build it up. There may not be a vibrant community yet. It will grow with the members to come. Help spread the word and let others participate as well. Full Members who are joining on or before Dec 14, 2019 are considered Founding Members. The ‘Founding Member’ status is a lifetime status, as long as the member is a full member. 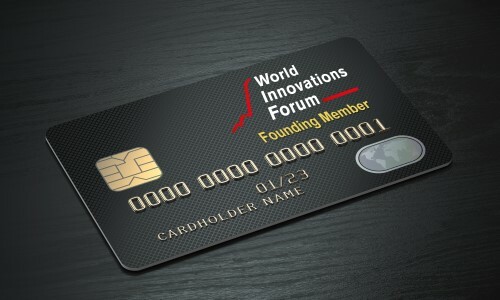 Founding members represent the original base of the World Innovations Forum as it was initially envisioned in 2017 and finally registered as a foundation early 2019. Founding members have the opportunity to help shape the organization from the very beginning, craft programs and set the stage for the members to come. Founding members receive a “Founder Member Card” giving them special terms on various paid services (allow up to 12 weeks for delivery). Full members are the actual movers and shakers of the overall idea of the World Innovations Forum. Full members don’t ask “what is in for me” but are engaged to build a world we all want to live in and that includes prosperity for all nations. Full members pay an annual membership fee which helps keeping the organization and its spirit economically alive.